Explore Alaska’s spectacular wilderness on an exhilarating trek with an experienced naturalist guide. Start your hike through challenging terrain on park trails through lush vegetation along forested trails while your guide tells you about the local history and wildlife of the area. 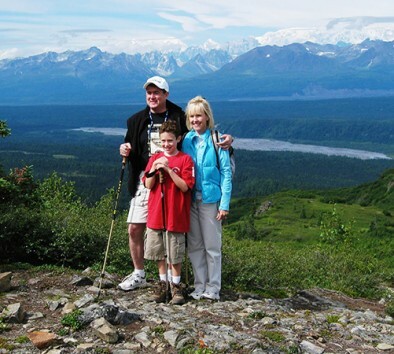 Denali State Park is famous for its hiking trails, wildlife, and stunning views of nearby Denali (formerly Mt. McKinley). Hike up 1,200 feet from lush forest to treeline (weather permitting) for panoramic views of Alaska Range peaks and glaciers. Routes may vary. Photographic opportunities abound from majestic alpine vistas to delicate wildflowers and berries. Denali hiking doesn’t get any better than this!